Rachel Robertson is a communicator for the College of Engineering assigned to covering the stories for the School of Electrical Engineering and Computer Science. Rachel started her career as a lab manager and researcher in cognitive psychology. 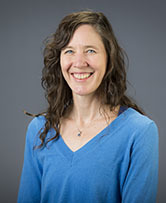 She pursued writing as a freelancer, specializing in science writing, for several years before coming to Oregon State. In addition to writing, Rachel creates videos and podcasts.